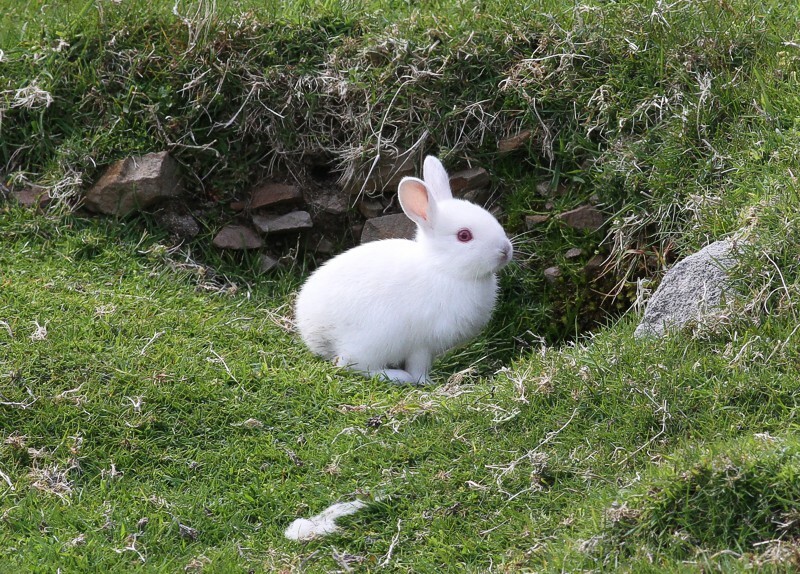 Rabbits Oryctolagus cuniculus were deliberately introduced on Fair Isle at some unknown time in the past. They are known to have been established in Shetland by the mid-17th century and were doubtless brought from there to Fair Isle with the aim of adding to the food supply. 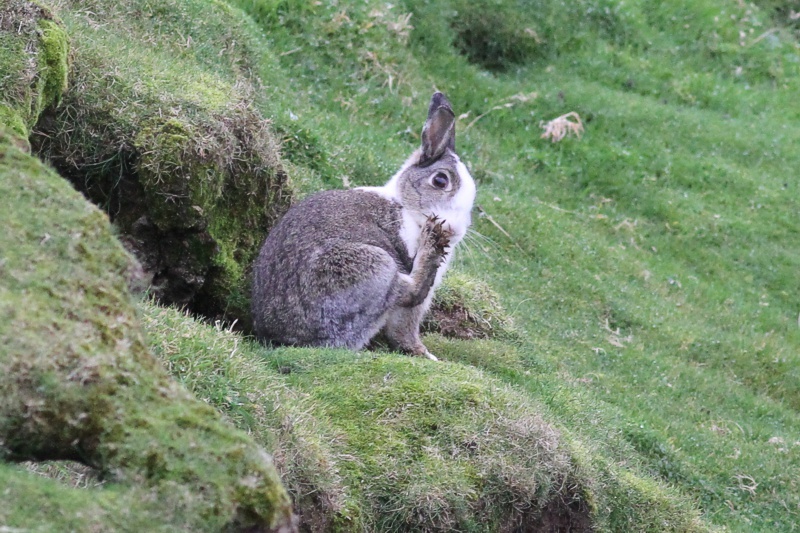 Today, they are widely scattered, but most abundant near the cliff tops and in the vicinity of the old feelie dykes, both situations which offer good burrowing conditions. They come in a wide range of colours, including black, white, ginger and white-collared. These coloured ones are common, presumably indicating their domestic origins and the interbreeding of a closed population. 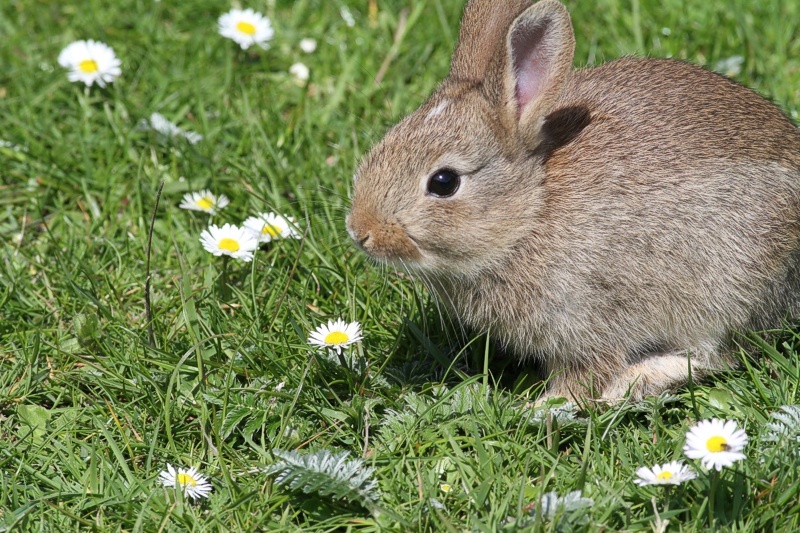 Myxomatosis has never reached Fair Isle, despite the fact that it was widespread in Orkney in the 1960s, and the only direct threats to the Rabbits come from man, his cats and dogs, and predatory birds such as skuas and gulls, which occasionally take young ones. None of these seems likely to have a very significant influence on the size of the population, which is probably limited by winter food supply.